» Blog | Pen Powered Mic | Delivering literary works of Muslim women over cyber airwaves. Award-winning author Leila Aboulela graced us with her presence at Pen Powered Mic II on 1 August 2014, and not only read a segment of her latest novel, ‘Lyrics Alley’, but also answered questions posed by LaYinka Sanni about her and her work. Read the transcript of the interview below. The last poem we have for World Poetry Day is titled ‘221 x 290 cm’, written and recited by international writer, Khairani Barokka. 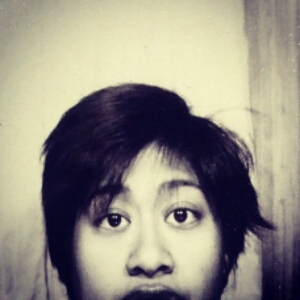 Khairani Barokka is a writer, poet, artist, and disability and arts (self-)advocate. Among her honuors, she was an NYU Tisch Departmental Fellow for her master’s; Emerging Writers Festival’s Inaugural International Writer-In-Residence; and Indonesia’s first Writer-In-Residence at Vermont Studio Center. Okka is the writer/performer/producer of solo poetry/art show ‘Eve and Mary Are Having Coffee’, which premiered at Edinburgh Fringe in 2014; and is currently Artist-In-Residence at Rimbun Dahan, Malaysia. Okka has performed and taught across Asia, the US, Australia, and Europe, and is published in anthologies and literary journals in print and online. She has just completed two full-length poetry manuscripts, ‘Pilot Light’ and ‘Oil and enamel on linen: poems’. More info can be found at: www.khairanibarokka.com. The fourth poem we have for World Poetry Day is titled ‘You are Not My Mother’, written and recited by Nehal Elmeligy. It is a piece triggered by an accident where a 19-year old university student in Egypt was ran over by a bus on campus, causing her death. Nehal Elmeligy is a TESOL teacher, freelance writer, and Fulbright Alumna. She has taught English at Berlitz and the British Council in Egypt. Her writing has appeared in the state-owned newspaper, Al Ahram Weekly, and the online news platform, Egyptian Streets. The third poem we have for World Poetry Day is titled ‘Is There Any Hope’, and is written and recited by Hend Hegazi. Hend Hegazi was born and raised in the USA. Shortly after graduating from Smith College, she moved to Egypt, where she has been living for the past 13 years. Hend is a full-time mother of four, freelance writer, and editor. Her debut novel, Normal Calm, was published in 2014. The second poem we have for World Poetry Day is titled ‘Stand Up’, written and recited by Aisha Mirza. It’s a powerful poem that touches on the topic of domestic violence. Writing has always been Aisha’s creative outlet since childhood. For generations her family has produced artists and storytellers. Aisha has inherited her family’s love for words and has over the year’s written articles, poetry and has now turned her attention to books. Born in London, but a resident of Greater Manchester all her life, Aisha is a modest striving mother of three children. A graduate with a BSc Honours in Sociology, and currently completing an MSc in Counselling and Psychotherapy, she has a deep desire to dedicate her life in the service of others. A compassionate individual she enjoys sharing her reflections of life and experiences through word, poetry and photography in the hope that others may find inspiration. Her kindness extends to all – from the very old to the very young – and as a humanitarian and activist for freedom, justice, and peace, she is compelled to reach out to those struggling and less fortunate. The first poem we have for World Poetry Day is titled ‘I Can’t Breathe’, written and recited by Janette Grant. Inspired by the grand jury decision regarding the Michael Brown shooting in the U.S., Grant delivers a message to be heard. Janette Grant is a revert to Islam and the owner/executive editor of Mindworks Publishing, a community based desktop publishing company offering print-on-demand services. She has authored several books and is a founding member of the Muslimah Writers Alliance (MWA), an internationally based collaboration of Muslim women writers. Janette advocates working to counter negative and inaccurate perceptions of members of the Muslim community, and currently works as an editor at aMuslima.com. It’s been rather quiet on the Pen Powered Mic front, especially after the cancellation of Pen Powered Mic III. The passion for the project hasn’t died out completely, but life — especially lack of time — has meant it has had to sit on the back burner for a while. I have been continuing my work with writers and authors, and I’m pretty excited to present a selection of poetry readings pre-recorded for your attentive ears. Writers from the UK, US, North Africa, and Asia have kindly written and recorded various styles of poems for you to indulge in during World Poetry Day on Saturday, 21st March 2015. Poems have been scheduled to appear on the blog an hour apart from 9am UK time, so be sure to not only check them out, but support the talented writers by rating their poems, leaving your thoughts, and sharing the posts with friends. Looking forward to Saturday? So am I!